In the view of many evangelical cult watchers — including John Weldon, Paul Reisser, M.D., and myself — this trend is providing the New Age movement with one of its most strategic opportunities to convert our culture. 4 For many holistic health modalities pack pantheistic/occultic philosophy and spiritual experience that can beguile and win over the often unwary and vulnerable patient. There is a growing movement of Christian practitioners of holistic (or “wholistic”) health, and of Christians who turn to such treatments for their physical maladies. Perhaps the most articulate and vigorous spokesperson for this movement is Monte Kline, Ph.D., a former staff member with Campus Crusade for Christ who became a nutritionist and “wholistic health practitioner” after a personal bout with cancer. Finally, I would agree with Kline’s definition of true science and his characterization of many Christians (past and present) as having a “flat earth” mentality concerning things they do not understand. 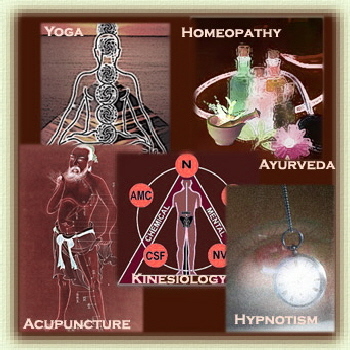 What if the practice is not condemned by name in the Scriptures (a point Kline makes in defense of acupuncture, Applied Kinesiology, and “most” holistic health practices 10)? If it can be shown to be a part of or intrinsically related to something that is specifically condemned (in this case, spiritism — Deut. 18:11), or if it tends to involve or encourage unbiblical (in this case, occultic) concepts or behavior, it should still be avoided (1 Thessalonians 5:22). Kline laments that “the Church has a penchant for not accepting any valid scientific discovery until about a century after the world has.”  Even if we accepted this claim, it would be irrelevant to the issue at hand. For the “world” (as represented by the scientific establishment) has not accepted the bioenergy central to the above-named holistic health therapies as a valid scientific discovery. Second, and related to the above, while it could be said that the Bible supports a form of vitalism, this does not provide a “key to understanding the body’s ‘invisible energies’ and bioenergeric testing methods.” Genesis 2:7 relates that the Lord “formed man out of the dust of the ground and breathed into his nostrils the breath of life; and man became a living being [Hebrew: hay nephesh].” The Hebrew Scriptures use the term haya to denote the experience and quality of life; its usage provides no insight into the nature of that life (i.e., pertaining to the vitalism debate). The word nephesh, which in its original usage meant “breath,” is used in the Old Testament to cover a range of related concepts including “life,” “soul,” and “person.” In the light of all usages of the word (and the New Testament usages of the parallel Greek word psuché), we must conclude that what God breathed into man was his soul: the nonphysical (and thus nonscientifically testable) part of his nature. Because all of man’s parts are interrelated, his physical body is animated. But his life is seated within his soul; it is distinct from the electro­magnetic forces at work in his physical being and cannot be manipulated in any therapeutic approach. Third, the form of vitalism that is at the base of all energetic healing models is not the biblical view. Rather, it is rooted in an “emmanational” philosophy that is closely related to pantheism. 25 According to this view, the “life force” is the very essence of God, radiating outward from the Divine Center as the inner reality and vitalizing principle of creation. Thus the universe becomes intrinsically alive (its essence being “spirit” or “intelligence”). Many New Agers would agree with Kline that bioenergy is electromagnetism, but in their view it is much more than that. All “physical” energies are manifestations of divine energy. Since pantheists believe that nothing is ultimately physical, they easily blur the distinctions between physical and spiritual entities — distinctions that are critical to the Christian who wishes to avoid demonic involvement. Thus, for them, bioenergy takes on properties beyond anything science has found in electromagnetism: it has a mind of its own and a will to be well (the Innate Intelligence of original chiropractic theory); it is better manipulated and channeled by therapists who have highly developed psychic or intuitive abilities. Ultimately, vitalism is considered scientific by New Agers only because the spiritual realm itself is considered scientific in their pantheistic world view. It would appear that Christians are doomed to failure when they attempt to fit the vital energy of energetic medicine into a Christian context. Yes, there are energies which radiate throughout the universe and permeate and surround our physical bodies, and there are respects in which these energies are significant to health and health care. 27 But they are physical, not vital, forces. Yes, there is a “vital force” which animates our bodies, but this is localized within our souls. It is not a cosmic energy that flows into our bodies, passes through various channels (e.g., meridians, chakras), and then flows back out into the universe. Thus, it cannot be obstructed; nor is there a need to “release” or “balance” it. All that has really been proven so far, however, is that Bible-believing Christians can attempt to utilize this energy within a non occultic context. If this energy is inherently occultic (and thus demonic) then all their good intentions will not prevent Christians involved with it from becoming confused and compromised. Continued involvement could gradually lead to further involvement with the occult, and the deterioration of Christian faith and life. I am aware of cases where this scenario has indeed been lived out, and I find no assurance that the same will not ultimately hold true for all who become deeply involved with this energy. If the practice is occultic, then Kline’s advice to “seek committed Christian practitioners”  will not suffice. 13For example, Kirlian photography is constantly cited as providing the long-awaited proof of an aura of life energy surrounding the human body. Yet in scientific literature the phenomenon has long been sufficiently explained in terms of the moisture content of animate and inanimate objects — without reference to any vital energy. See, e.g.. Taylor, 43-44.